Everybody who love loves a tidy well kept garden lives in fear of the dreaded mole hills appearing. Although moles are undoubtedly fascinating little creatures, the carnage they can leave behind causes them to be classed as a pest. As well as the unsightly hills, Moles' tunnels can cause the most damage. They can can uproot plants as they tunnel under them and undermine paving slabs through tunnelling. They can also give the garden a soft spongy feel as it becomes interwoven with tunnels. 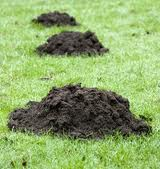 It is important to deal with a mole problem as soon as the first hills appear. Ignoring the mole too long could potentially allow it to breed. As a female mole is able to have up to 6 in a litter, your minor nuisance could soon turn into a major infestation. In this safety conscious age moles can cause a hidden, but potentially serious hazard. 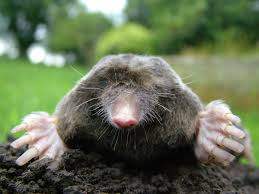 By allowing a mole infestation to grow you run the risk of allowing the moles to build up a complex labyrinth of runs, some which are only a few inches under the surface. Somebody standing on the run could collapse it and easily twist an ankle, or worse. Moles can pose a variety of risk to agricultural land, both to crops and livestock. The soil pushed up by moles often has damaging bacteria contained within it, this can contaminate the silage crop and significantly reduce it's yield. 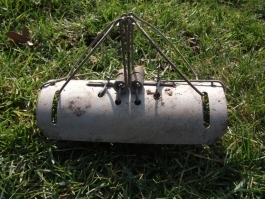 There is also the risk to machinery as moles will often bring up stones to the surface which can damage machinery. A mole infestation can significantly reduce the size of the crop produced as the moles runs and hills can dislodge newly planted crops. Furthermore, mole hills encourage the growth of weeds which will compete with the crops and hamper their growth. When moles are operating near livestock there is the risk of livestock tripping in the runs and causing themselves injury. There is also the risk that Sheep and Cattle could be at risk from Listeriosis caued by Listeria contaminated soil.